Finally, direct competition for arm? There are a number of IP vendors in the SoC processor space. ARM, MIPS and PowerPC are the most popular. Each vendor holds the edge in a particular area. For example, PowerPC has a big market share in the high end communication market, thanks to its licensees ((Freescale, AMCC etc.). MIPS, on the other hand, has been maintaining its stronghold in the Set Top Box (STB) market thanks to designs from companies like Broadcom and Sigma Designs. ARM needs no introduction, thanks to the popularity they enjoy because of the mobile revolution. If you pick up a smartphone or a tablet, there is a very high probability that it is powered by an ARM core. With the mobile revolution threatening to subsume multiple consumer markets in its convergence push, it is now essential for almost every vendor to have a mobile strategy. Not only do SoC vendors have to adapt themselves, the processor IP vendors also need to make the required push. Over the last two years, MIPS has been very vocal about getting into the mobile market. Of course, actions speak louder than words, and we stopped by MIPS's CES suite to see what they had on offer. While ARM has a number of high profile companies like NVIDIA, TI and Qualcomm churning out ARM based SoCs for the mobile market, MIPS has decided to start at the low end in the Chinese market. 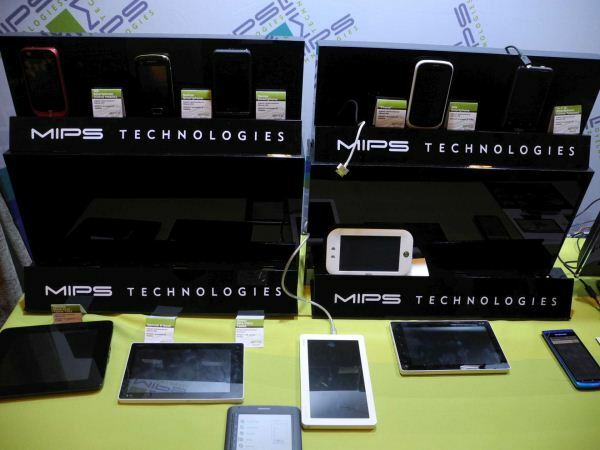 MIPS claims that there are already around 8 to 12 mobile phones in the Chinese market with MIPS-based SoCs. With the tablet market set to explode in the next 2 to 3 years, MIPS is readying up for the battle ahead. MIPS has signed up around 10 mobile licensees, of which InGenic and Action Semiconductors already have products shipping. Over the last two years, MIPS has been demonstrating devices based on SoCs from these two manufacturers at CES. Mobile devices based on MIPS SoCs have largely stayed under the radar due to their middling performance and build quality. The most successful of these devices was undoubtedly the Velocity Cruz which sold for as low as $130 and ran Android 2.3 before it was discontinued. MIPS claimed that more than a million units were sold. A couple of months back, MIPS made a huge splash with a couple of InGenic SoC based tablets from Ainol, namely, the Novo7 Paladin at $79 and the Novo7 Basic at $93. While some describe the Novo7 Paladin as a glorified MP4 player running Android, the Novo7 Basic actually bumps up the specs to include cameras for video conferencing. I had a chance to play around with the units. While it was definitely no Transformer Prime, I did find it more than acceptable for the price. An issue with the Novo7 units for the US market is the fact that they come with a number of Chinese apps installed. MIPS indicated that a US version was in the works, and it would include predominantly US-centric apps. MIPS was also upfront about the DRM capabilities of the InGenic SoC, and indicated that while the SoC wouldn't pass muster to deliver HD Netflix streams, there should be no issues getting Netflix certification for the SD streams. Another issue is the somewhat misleading specifications of the various versions. On the Ainovo website, there are claims of the unit being capable of decoding 10b H.264 videos, which I find hard to believe. Also, while the Novo7 Paladin can output 1080p video, it is only capable of 720p decode. On the other hand, the Novo7 Basic claims full 1080p decode and output capability. Despite coming with the same SoC, buyers could get misled because of internal firmware differences (Obvious hardware differences such as the lack of cameras in the Paladin do not seem to be the only aspects resulting in a lower price). On the whole, this initiative from MIPS (getting low cost Android based devices out in the market) is a big win for Android. Google, by itself, just wants more Android systems out there. Therefore, it was no surprise that these tablets received an endorsement from Andy Rubin when they were announced late last year. MIPS has various licensees active in the STB and communication market. The most notable amongst them are Broadcom, Sigma Designs and Lantiq. Some of the STB features and products enabled by MIPS are presented in the gallery below. There is a need to ensure that the latest version of Android is capable of running on all their processor based SoC platforms. The most challenging issue for MIPS will be to sign up licensees with the financial might to get their SoCs fabricated at lower / cutting-edge process geometries. 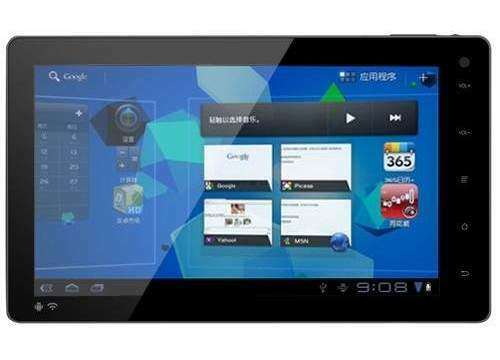 The InGenic SoC inside the Novo7 tablets is manufactured in a 65nm process. With Tegra 2 and other tablet SoCs being manufactured in the 40nm process and moving fast towards smaller geometries, MIPS-based SoCs are already trailing in the performance per watt metric. However, smaller geometries also bring with them costlier SoCs, so it will be a fine line that needs to be toed. In summary, it is good to see MIPS coming up as a credible competitor to ARM in the mobile space. With ARM trying to encroach upon the 20-year old MIPS64 market, the tussle in the embedded processor space just got a lot more interesting. It will be exciting to see how this plays out over the next 3 or 4 years.